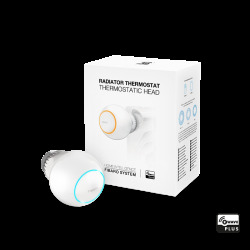 Package including FIBARO thermostatic head Radiator Thermostat (Z-Wave) and Bluetooth temperature sensor. 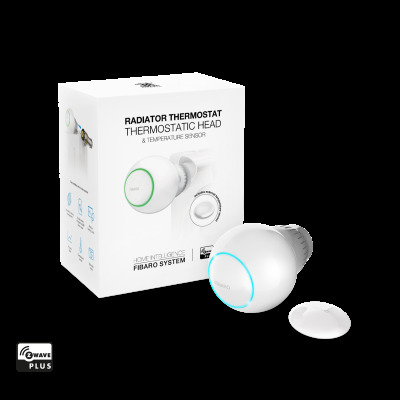 "FIBARO Heat Controller Thermostat Starter Pack" or Pack of Thermostatic Head Z-Wave + of FIBARO (Radiator Thermostat) and Bluetooth Temperature Sensor. 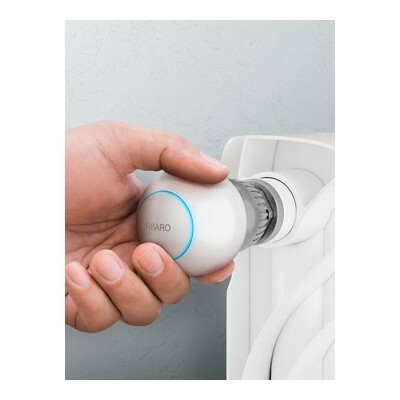 The FIBARO radiator thermostat is an intelligent thermostatic head that controls the temperature of the room, using the built-in or external sensor and regulating the heating level, according to your individual preferences. 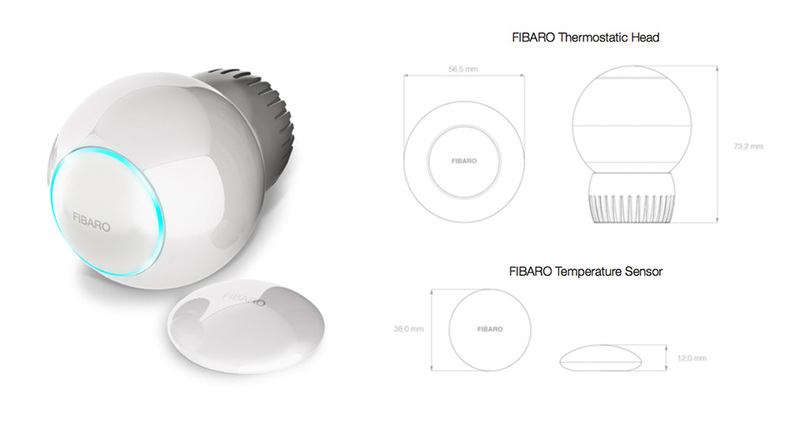 FIBARO decentralizes the heating process! 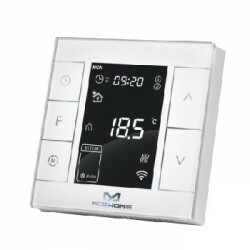 Instead of a single control unit, it offers intelligent thermostatic heads that cooperate with each other, which can be installed in several radiators. 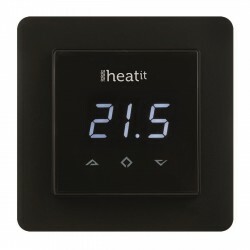 No other controller has a heating comfort level and such a wide range of possibilities. The most advanced technology and its perfect design make it a unique device, capable of transforming your home. 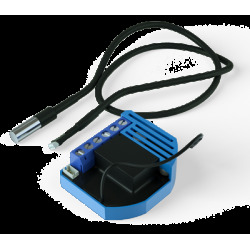 Temperature management has never before been so precise and simple. The LED light ring will light up once you place your hand near it to show the color corresponding to the current temperature. 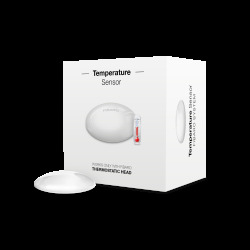 With this you can evaluate the situation immediately and intuitively set the perfect temperature. Use schedules, adapted to the nature of certain parts. 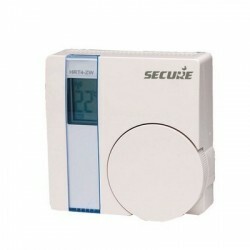 Ensure maximum comfort by perfectly combining the temperature with a room, time and certain habits. Children's room: make sure that conditions are always perfect in this most important room in the house. 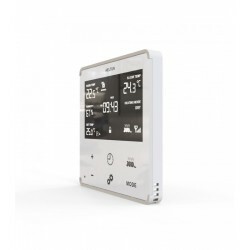 Provide your children with a safe and stable daytime temperature, and automatically lower it to sleep well at night. The bathroom: guarantees excellent thermal comfort by taking a bath, hot towels and a pleasant and warm atmosphere. 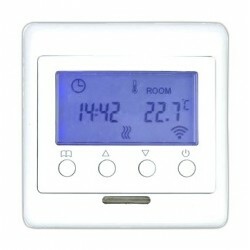 And when the bathroom is not in use, lower the temperature automatically. The bedroom: create the ideal conditions for your bedroom and check the importance of a healthy sleep when the temperature is adequately reduced. Sleep well in the pleasant and soft air and enjoy the extra heat when you get up in the morning. This will also help you save money on your accounts! The advanced algorithms used in the FIBARO thermostatic heads and their programming will help you achieve real heating savings. Trust the new technology and take care of the environment and your family budget. 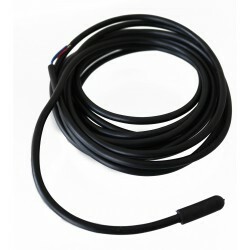 The thermostatic head can use an external or integrated temperature sensor. You can decide for yourself where the measurement will be made. In this way you can avoid overheating or insufficient heating. Because the temperature should be perfect where you are! 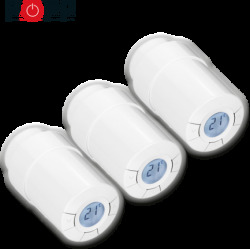 Sleeping time The thermostatic head will ensure that the temperature goes down a bit to stay healthy and reduce heating in unused rooms. It is time to wake up! The room is ready for you to get out of the warm bed. 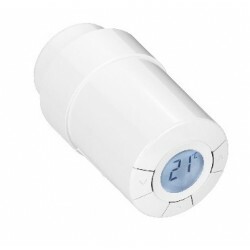 The thermostatic heads provide optimal comfort during morning baths and when you are preparing to leave. When not at home, appliances maintain the optimum temperature for a maximum economy without excessively cooling the apartment or the house. Everyone at home? 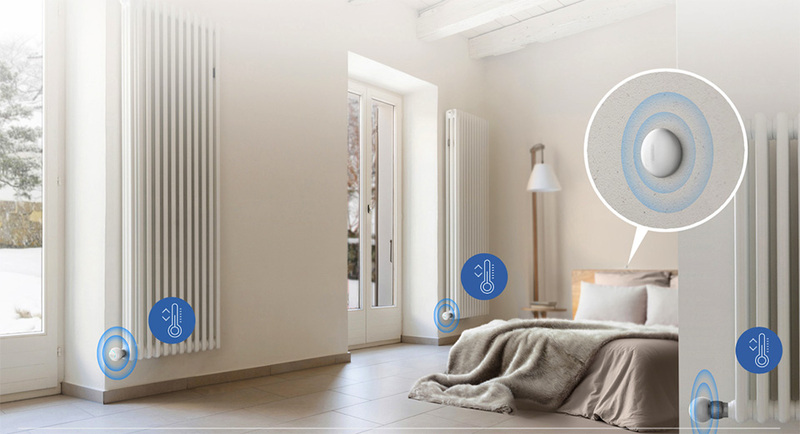 The FIBARO system will define the optimal heating parameters for the rooms, taking into account the nature of the rooms and the number of people in them. 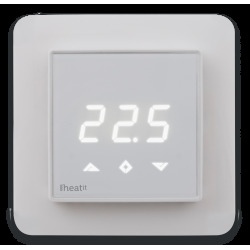 Three ways to change the temperature: manually, from the smartphone or through a heating program. You can adjust the temperature in the traditional way. Turn the knob to indicate the temperature level you expect. 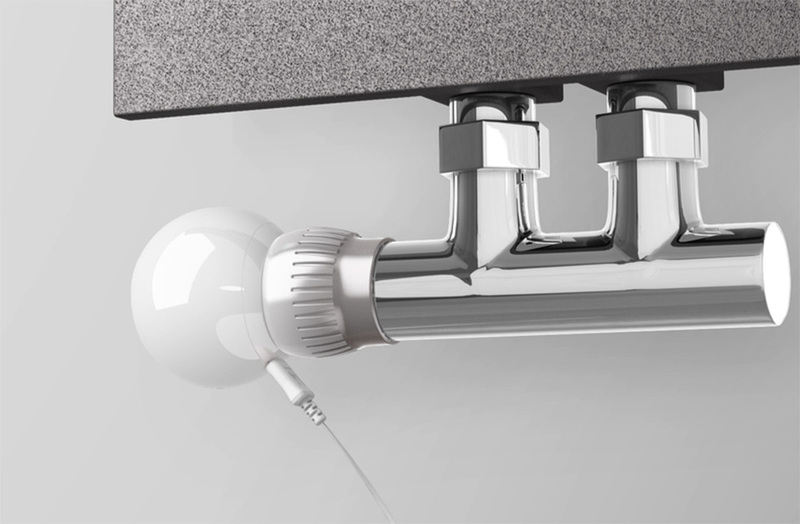 The thermostatic head will consider the nature and the cubic volume of the room to reach the perfect temperature without excessive fluctuations. 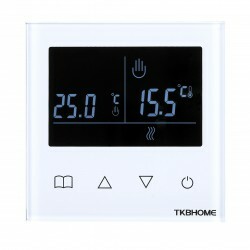 Enjoy the convenience of controlling the heating with the mobile application. 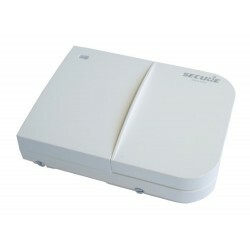 Control heating from anywhere in the world. Thanks to the thermostatic head, your smartphone and the FIBARO application, you can adjust the temperature with an accuracy of up to 0.5 degrees Celsius. With FIBARO, you can easily set your lifestyle schedule. You can also cancel the programmed settings: your manual change will be maintained for a period of time defined by you, then the temperature will return to the previous setting. Let fresh air in without wasting heat. 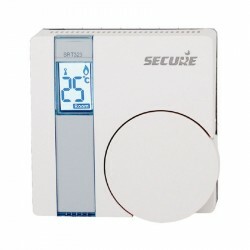 The thermostatic head detects sudden drops in temperature. In such cases, you can extinguish the fire automatically, thanks to the fact that this aeration is effective and does not generate unnecessary costs. The thermostatic head works with the most popular types of radiator valves. 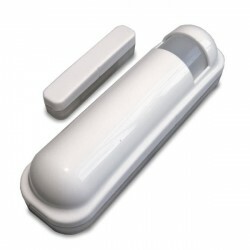 Thanks to the special adapters supplied, it can be mounted on 98% of the radiators available in the market. In the FIBARO system, in addition to the configuration interface containing all the advanced configurations, the devices are managed by mobile applications, which offer quick and easy configuration, are easy to use and clearly show the key information. 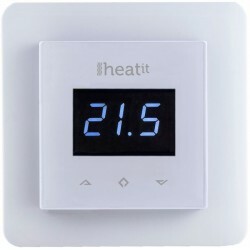 Control the temperature in your home from your smartphone or tablet. 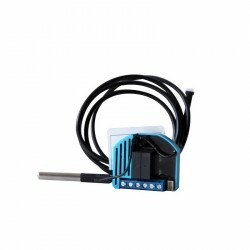 Mount the thermostatic head on each radiator in the room, connect them with the temperature sensor placed where you want it. The radiators will create a true ecosystem, cooperating with each other to offer maximum comfort and economy. 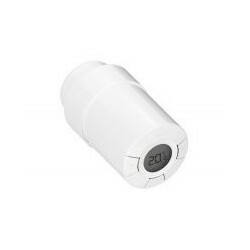 The FIBARO thermostatic heads have their own charged batteries using a USB port. Once charged, they will work throughout the heating season. And if the battery is low, the device will remind you to charge it. Using programming frees your mind, because you do not have to think about radiators and, at the same time, offer incomparable thermal comfort. But sometimes, for example, when it's very cold outside, you may want to warm up when you return home. 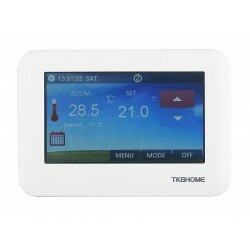 So you can set a higher temperature remotely, even before returning home. All this using the FIBARO application wherever you are in the world. 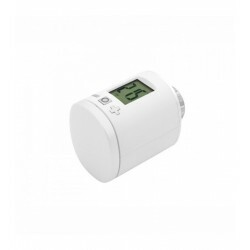 The configuration of the FIBARO Radiator Thermostat does not require specialized tools and takes less than a minute. The mobile application guides you through the basic configuration and the advanced options are available from the control panel of the FIBARO system. You can assemble the device yourself or ask for help from a professional installer of the FIBARO partner network. When you leave the house for a few days, you can easily activate the "vacation mode" and stop worrying about the conditions in your home and the related costs. With the application, you can set the special mode for vacations and travel more time with a touch. You can do this by leaving the house wherever you are. The FIBARO thermostatic head does not allow dirt to settle on the valve, which could affect the quality and efficiency of its operation. 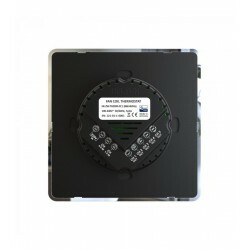 The advanced technology used allows the device to activate the descaling mode on a regular basis, which prevents the scale from blocking the installation. Therefore, you do not have to worry about the condition of the valves in your house. If the thermostatic head is located in the children's room or where a child can see it, you can avoid accidentally changing the setting. Activate the "Local Protection" mode, which deactivates manual control and watch your little explorers play with a smile on your face. The thermostatic head learns the characteristics of a room: it calculates its cubic volume and the time needed to heat it. It can also react to the presence of people or to an open window. All this to ensure a stable temperature and perfect comfort, while the savings remain unparalleled. 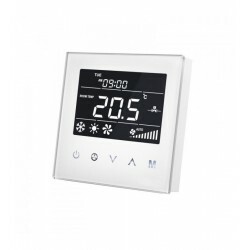 Enjoy the comfort of intelligent management heating. A perfectly adapted heater should keep you comfortable, no matter the weather. 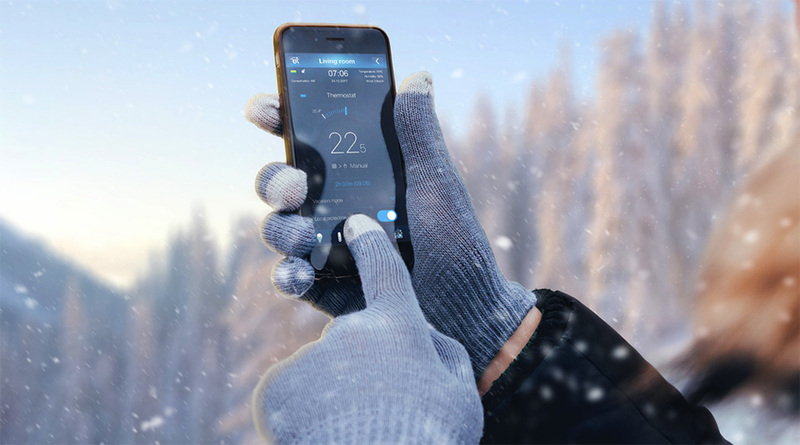 The FIBARO thermostatic head will ensure the perfect temperature regardless of weather conditions, but also sudden and unpredictable temperature changes. 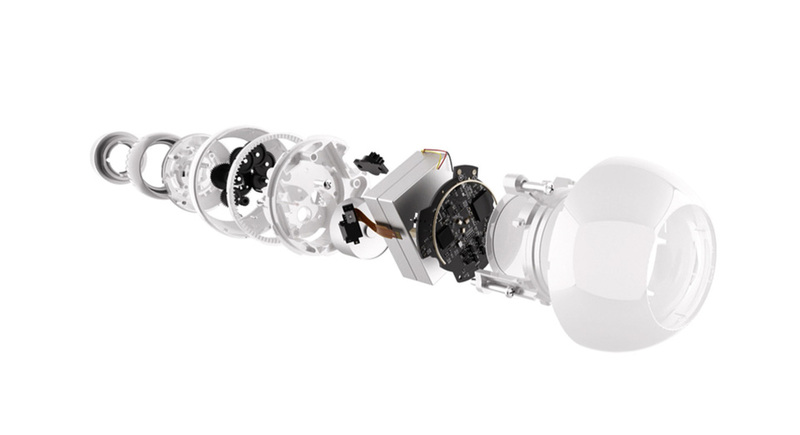 The head will also ensure that the temperature in the room never falls below 10 ° C.
The FIBARO thermostatic head is not only easy to assemble, it can also be calibrated and verified if it is correctly connected. 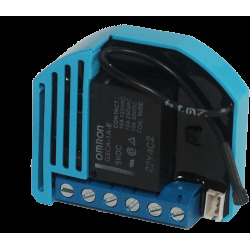 Thanks to this, you can be sure that the installation process was smooth and that the device will always work correctly. 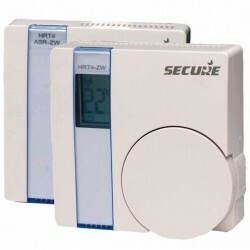 It is not only the schedules and intelligent heating management in private rooms that guarantee your comfort and savings. 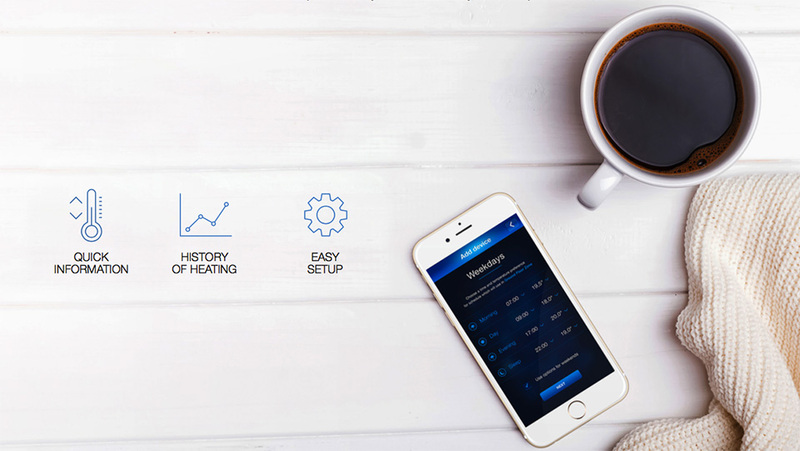 FIBARO will control the operation of your heating system. Depending on the characteristic symptoms, the head will be able to diagnose if the heater is working properly. You will be informed immediately if a defect is possible and you can decide how to proceed. 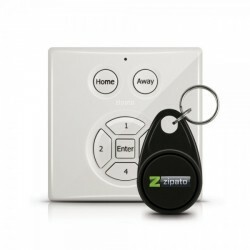 The small size and the high quality design allow you to use and enjoy its beauty. 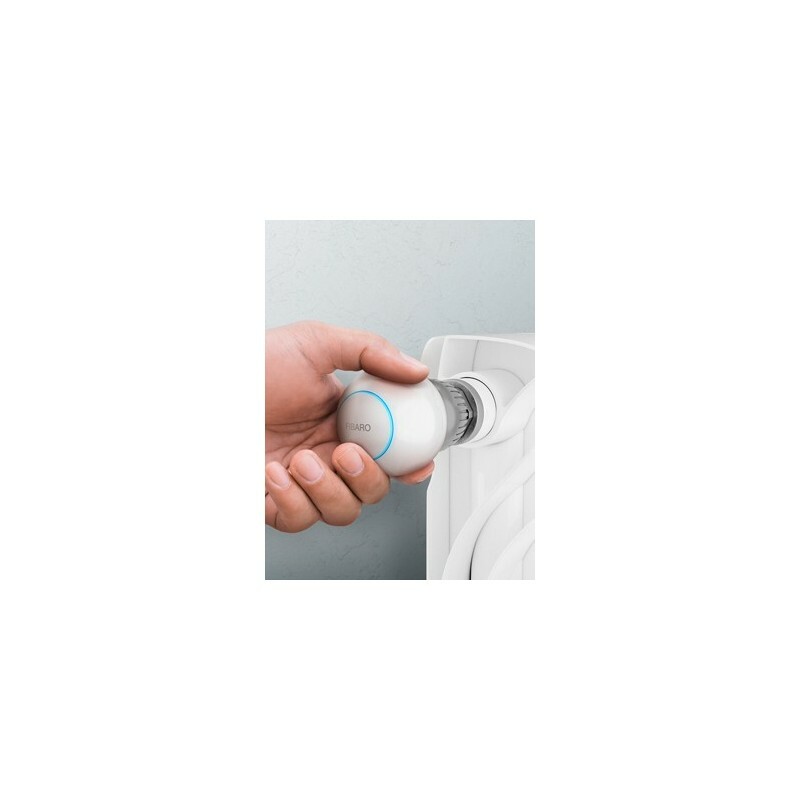 The FIBARO thermostatic head looks great and fits perfectly in your hand when you want to change the temperature. 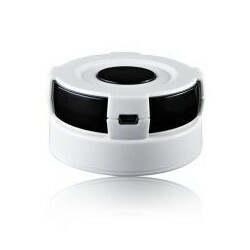 And the small shot, which is the FIBARO temperature sensor, can be placed easily and safely anywhere in the room.